There are a number of variables that factor into the process of selecting a club for golf shots around the green. In order to decide on the right club and come up with a successful shot, you have to consider a few different things about your current situation, and then make the appropriate swing with the proper technique. Most amateur golfers, however, tend not to fully analyze the variables and gather information, and instead just step up and hit the ball with whatever club feels best in the moment. So in this lesson, we teach you the pitching and chipping tips you need to develop a good system that you can use to correctly assess the situation any time you approach a shot around the green. Golfers of all skill levels utilize a variety of pitching and chipping tips to discover their best game with the short sticks, most often addressing mechanics and technique. But according to PGA Professional Bill Forrest, the thing that’s most important for a successful short game, above all else, is a plan. He believes the greatest pitching and chipping tips can be traced back to developing a system for each and every shot you take. 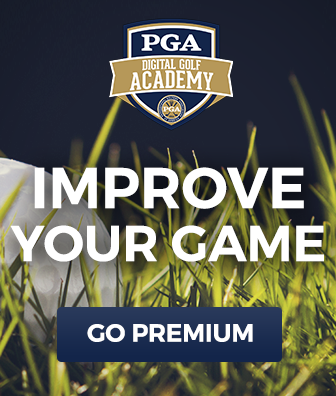 You may already have a plan, and it may already work for you, but consider working into your game Bill’s system and the expert pitching and chipping tips that go along with it. It’s called the Three Club System, and it’s going to change the way you look at your short-iron shots and the way you address the ball each time. You’ll discover what makes the pitching and chipping tips in Bill’s system so worthwhile and impactful on your mentality and overall game. He teaches you about the four variables of every golf shot, and shows you how to use those variables to make the right call. Take advantage of these simple pitching and chipping tips to figure out the proper way to diagnose your situation, select your club, and choose your shot type. 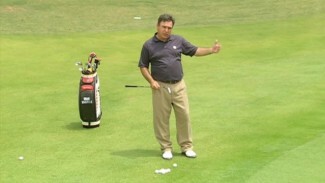 We guarantee Bill’s pitching and chipping tips will have a positive impact on the outcome of your next round!